Nearly a quarter of a century ago, I wrote an essay called ‘Salman Rushdie and the fictions of Third World Politics’, in which I argued that Magic Realism was the best way of dealing with South Asian politics since they were truly stranger than fiction. Those, if you remember, were days in which two generals ruled with rods of iron in Pakistan and Bangladesh, when the Americans were encouraging Al Qaeda to topple the godless Communists in Afghanistan, when the monarchy in Nepal introduced and withdrew democracy at will, when Sri Lanka had postponed elections through a brutal referendum in between attacks on Tamils that were encouraged if not perpetrated by elements in government. Bhutan was an absolute monarchy, the President of the Maldives had been going strong for a decade and a half and was to continue in power for as long again afterwards. Only India, after its brief flirtation with authoritarianism in the seventies, seemed safely democratic, but there Mrs Gandhi had just been assassinated by her own bodyguards. Ironically enough, the only government – apart from the admittedly unsavoury Afghan communist regime – of which the West disapproved in those distant days was the Indian one, the only one that had in fact been selected by the people. 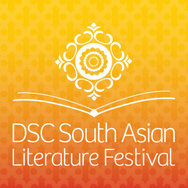 In the dying days of the Cold War, when South Asia was – trust our luck – worse affected than ever before, we had to cope with the Reagan/Thatcher doctrine of Our Bastards, which Lyndon Johnson and Henry Kissinger had used to pervert South East Asia and Africa – and indeed South America too – in earlier decades. Much of this is forgotten now, in the new found zeal the West displays for democracy, and perhaps we should not be too harsh on those monsters of yesteryear. After all, as I was recently told, in criticism of a piece on my blog that drew attention to the disastrous carving up of the Middle East after the First World War, ‘The defeat of the Soviet Union was one of the great victories of the 20th century on a par with the defeat of Nazism and the Kaiser – nay greater if on a kill-ratio basis. It was worth the temporary alliance with the fundamentalists in Afghanistan, as the alliance was with Stalin to defeat Hitler. The unprecedented flourishing of democracy and liberalism that followed the fall of the Berlin wall would not have otherwise happened’. The monsters too had their own ideals, and given the Euro-centric mindsets of those days, we should not be too indignant that they did not really look on people elsewhere as human in the same sense as themselves. This exercise is from English, Economics & Management, a book which is an adaptation by Prof Rajiva Wijesinha of the original volume by Gartney and Stroup that presented basic economic principles simply. The principles are essentially liberal, but their universality will be clear in the context of the development of social and economic theories all over the world in the last few decades. I am grateful to Michael Walker of the Canadian Fraser Institute for encouraging me to use this text for English Teaching. The book should be used in conjunction with A Handbook of English Grammar (Foundation Books, Cambridge University Press, India). 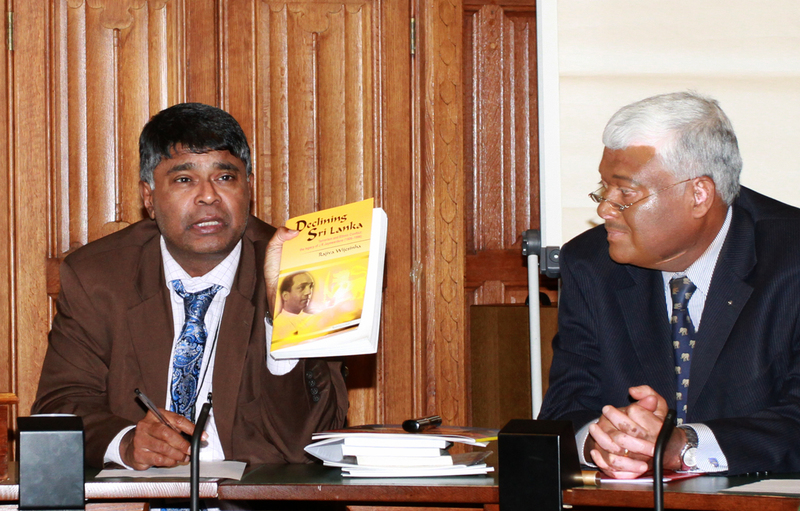 The full text of English, Economics & Management, as well as other English books and materials that can be downloaded to enhance your English knowledge, can be found on the website of the Liberal Party of Sri Lanka. Voluntary exchange is productive because it promotes social cooperation and helps us get more of what we want. However, exchange is also costly. The time, effort, and other resources necessary to search out, negotiate, and conclude an exchange are called transaction costs. Transaction costs are an obstacle to the creation of wealth. They limit both our productive capacity and the realization of gains from mutually advantageous trading. Transaction costs are sometimes high because of physical obstacles, such as oceans, rivers, marshes, and mountains. In these cases, investment in roads and improvements in transportation and communications can reduce the costs. In other instances, transaction costs may be high because of man-made obstacles, such as taxes, licensing requirements, government regulations, price controls, tariffs, or quotas. But regardless of whether the road-blocks are physical or man-made, high transaction costs reduce the potential gains from trade. Conversely, reductions in transaction costs increase the gains from trade and thereby promote economic progress. People who provide trading partners with information and services that help them arrange trades and make better choices are providing something valuable. Such specialists or middle-men include real estate agents, stockbrokers, automobile dealers, publishers of classified ads, and a wide variety of merchants. Often, people believe that middlemen are unnecessary—that they merely increase the price of goods without providing benefits to either the buyer or the seller. Once we recognize that transaction costs are an obstacle to trade, it is easy to see that this view is wrong. Consider the grocer who, in essence, provides middleman services that make it cheaper and more convenient for producers and consumers of food products to deal with each other. Think of the time and effort that would be involved in preparing even a single meal if shoppers had to deal directly with farmers when buying fruits or vegetables, or with fishermen if they wanted to serve fish. Grocers make these contacts for consumers, arrange for the transport and sell all the items in a convenient shopping location, and maintain reliable inventories. The services of grocers and other middlemen reduce transaction costs and make it easier for potential buyers and sellers to realize gains from trade. These services increase the volume of trade and thereby promote economic progress. Rewrite the first three paragraphs in the past tense. Remember that you do not need to change the tense of verbs that are used in apposition. Identify the main verbs of every clause in the first three paragraphs, ie the verbs of which you changed the tense. Also identify the complements of the linking verbs and the objects of the transitive verbs. Identify the relative clauses in the third and fourth paragraphs, and the pronouns that link them to other clauses. To what do those pronouns refer? Identify the prepositions in the last two paragraphs and use them in sentences of your own. Give in your own words the meanings of the highlighted words. Find nouns and verbs related to these (more than one each where possible), and use them in sentences of your own. Find five nouns in this passage that are used as adjectives. Find verbs related to at least three of these and use them in sentences of your own. Find words that are similar in meaning to the italicized verbs. Find nouns that are related to these and use them in sentences of your own. What are the two types of transaction costs mentioned? How can these be reduced? How do middlemen reduce transaction costs? Can you think of how you have benefited recently from the services of a middleman, apart from a grocer? 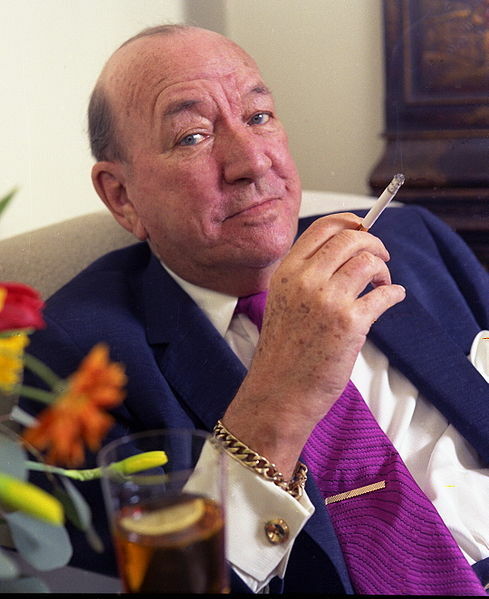 The most extraordinary literary figure of the period between the wars to have achieved literary repute, which then lasted into the rest of the century, was undoubtedly Noel Coward. Unlike most of the writers I have written about thus far, he came from a relatively poor background, and his propulsion towards writing came from a career on the stage, launched when he was not yet in his teens. After an apprenticeship of less than a decade, Coward starred in 1920 in the first of his plays to be produced, when he was just 20 himself. That was not a great success, but he went on to better things and in 1925 wrote Hay Fever, one of the greatest of modern comedies. The plot, if one can call it that, is very simple, dealing with four members of the artistic aptly named Bliss family who each invite a guest for the weekend, and are horrified that the others have been so thoughtless as to not inform them of the visitations. The guests are bemused by their charming but totally self-centred hosts, and seek solace with the wrong partner, which leads to high comedy – the dumb sportsman invited by the actress mother is attracted by her comparatively earnest daughter, while the diplomat she had intended to impress is overwhelmed by her mother; the husband, a writer, charms the older society belle his son had invited, while the son gets entangled with the ingenuous girl his father had intended to bedazzle. The visitors also pair off amongst themselves, which is not however a worry for the family for they, in the last resort, are more enamoured of each other than of anyone else, and the guests are in effect simply fodder for their entertaining excesses. Intriguingly, at the same time that Tolkien was teaching at Oxford and writing allegories about good and evil, another English don there was doing the same. 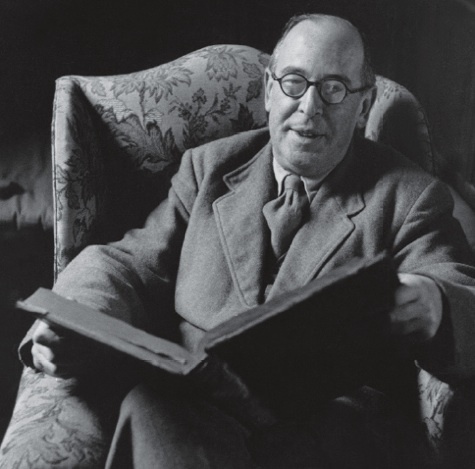 This was C S Lewis, who created the Narnia series, which is just now receiving its canonization through the medium of film. As with the later Harry Potter series, there are seven books about Narnia, though there the resemblance ends. The Narnia books travel through time without any system, and have different protagonists. The first book, and I think the best one, The Lion, the Witch and the Wardrobe, describes how a family of four children, staying with an old Professor during the war, step through a wardrobe and find themselves in Narnia, a world of talking animals. Sadly, it is now ruled by a wicked witch, who has imposed an age of ice that stifles everyone and everything. The four children lead a revolt, in which they are guided by the lion Aslan, who is an incarnation of God. The parallels with Christianity are taken further when Aslan allows the witch to kill him so that the younger boy Edmund, who had been tempted over to her side, can be released. Aslan however, like Jesus Christ, rises from the dead and destroys the witch’s forces and enables the elder boy Peter to kill her. The four children then rule in Narnia as Kings and Queens for many years, until by chance they walk through the wardrobe while out hunting, and find themselves back in this world. Hardly any time has passed however, for time moves at different rates in different worlds. The motion brought by the United National Party against the Minister of External Affairs seemed a heaven sent opportunity for the government to clarify a number of issues regarding the External Relations of this country over the last few years. In particular it made clear the erosion of what might be termed the international agenda of the principal opposition, a factor of great importance since, though the most dangerous threat facing this country, that of terrorism within our shores, has been defeated, the external threat still looms. In Sri Lanka itself terrorist excesses were easy to identify, though this does not take away from the enormous effort needed to overcome them, and the singular contribution of our armed forces. Abroad however we were never quite sure from where blows would fall. Some of these came from terrorist supporters, a few of them still sadly incorrigible. However we can now hope that many are willing to work together with government to improve the lot of the Tamils who suffered in the 1980s from the racist excesses of the Jayewardene government, and then the worse enslavement of the Prabhakaran totalitarianism. We also had to suffer the criticism of those foreigners, well-meaning ones as well as insidious purveyors of self-interest, who confused the Tigers and the Tamils. And then, worst of all, we had to struggle against the relentless belittling of the elected government by the opposition and its agents, a programme that at least some elements in the United National Party wish to revive, as seen by this motion. Mutual gain is the foundation of trade. Parties agree to an exchange because they anticipate that it will improve their well-being. The motivation for market exchange is summed up in the phrase, “If you do something good for me, I will do something good for you.” Trade is productive; it permits each of the trading partners to get more of what they want. There are three major reasons why trade is productive—why it increases the wealth of people. First, trade channels goods and services to those who value them most. A good or service does not have value just because it exists. Material things are not wealth until they are in the hands of someone who values them. The preferences, knowledge, and goals of people vary widely. Thus, a good that is virtually worthless to one may be a precious gem to another. For example, a highly technical book on electronics that is of no value to an art collector may be worth thousands of rupees to an engineer. Similarly, a painting that is unappreciated by an engineer may be an object of great value to an art collector. Therefore, a voluntary exchange that moves the electronics book to the engineer and the painting to the art collector will increase the value of both goods. At the same time, the exchange will increase the wealth of both trading partners and the nation because it moves goods from people who value them less to people who value them more. Second, exchange permits trading partners to gain from specializing in the production of those things they do best. Specialization allows us to expand total output. A group of individuals, regions, or nations will be able to produce a larger output when each specializes in the production of goods and services it can provide at a low cost, and uses their sales revenue to trade for desired goods it can provide only at a high cost. Economists refer to this principle as the law of comparative advantage. In many ways, gains from trade and specialization are common sense. Examples abound. Trade permits a skilled carpenter to specialize in the production of frame housing while trading the earnings from housing sales to purchase food, clothing, automobiles, and thousands of other goods that the carpenter is not so skilled at producing. Similarly, trade allows Canadian farmers to specialize in the production of wheat and use the revenue from wheat sales to buy Brazilian coffee, a commodity that the Canadians could produce only at a high cost. Simultaneously, it is cheaper for Brazilians to use their resources to grow coffee and use the revenue from this to buy what they need. Modern production of a good like a pencil or an automobile often involves specialization, division of labour, large-scale production methods, and the cooperation of literally tens of thousands of people. Gains from these sources of production are dependent upon exchange. Third, voluntary exchange permits us to realize gains derived from cooperative effort, division of labour, and the adoption of large-scale production methods. In the absence of exchange, productive activity would be limited to the individual household. Self-sufficiency and small-scale production would be the rule. Exchange permits us to have a much wider market for our output, and thus enables us to separate production processes into a series of specific operations in order to plan for large production runs. Such actions often lead to enormous increases in output per worker. Adam Smith, the “father of economics,” stressed the importance of gains from the division of labour more than 200 years ago. Observing the operation of a pin manufacturer, Smith noted that the production of the pins was broken into “about eighteen distinct operations,” each performed by specific workers. When the workers each specialized in a productive function, they were able to produce 4,800 pins per worker each day. Without specialization and division of labour, Smith doubted an individual worker would have been able to produce even 20 pins per day. Specialization permits individuals to take advantage of the diversity in their abilities and skills. It also enables employers to assign tasks to the workers who are more able to accomplish them. Even more importantly, the division of labour lets us adopt complex, large-scale production techniques unthinkable for an individual household. Without exchange, however, the gains from these would be lost. Rewrite the last paragraph in the past tense, and the one before the last paragraph in the present tense, leaving out the time marker in the first sentence. Identify to what the italicized pronouns in the fourth and last paragraphs refer. Identify the prepositions in the first three paragraphs and use them in sentences of your own. Identify the sentences in the last three paragraphs and say whether they are compound or complex. Are there any sentences, here or elsewhere in the passage, that use relative pronouns? Divide them into simple sentences. Work out from their context the meanings of the highlighted words, and use them in sentences of your own. Divide the words that are underlined into nouns and adjectives. Find words that mean the opposite of these (nouns for nouns and adjectives for adjectives), and use them in sentences of your own. What are the three reasons given for trade being productive? Explain each reason in your own words. Identify the examples given for each of the above reasons and provide other examples for each of these. Can you think of examples that suggest a different viewpoint to that of the writer? Give examples of specialization and division of labour from your own experience at home or where you have studied. 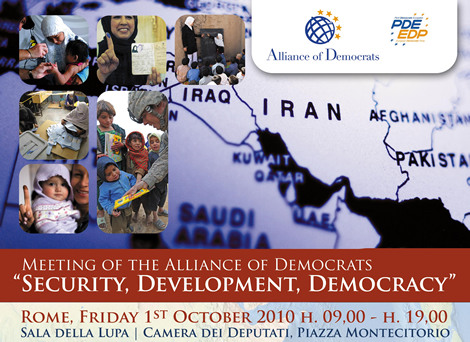 At the Meeting of the Alliance of Democrats in Rome to discuss Security, Development, Democracy – 1st October 2010. Apart from providing a brief overview of the Sri Lankan situation, I think I would be failing in my duty as Chairman of the Council of Asian Liberals and Democrats if I did not provide a different perspective on some of the issues we have discussed here today. In talking about Security as well as Development and Democracy, we have heard many views but in many cases there was a lack of historical awareness, and of precise detail, that will not be conducive to productive discussion. Sometimes this may be deliberate, but I also wonder whether knowledge of history and of accurate detail is no longer thought necessary. I was horrified for instance at the ‘Ara Pacis’ museum yesterday to have a guide who knew very little of Roman history. I cannot of course expect Italians in general to know as much about Roman history as those with a classical British colonial education, but more surely should be expected from a professional guide. The great initiative of Francesco Rutelli, Co-President of the European Democratic Party, in setting up a Museum dedicated to Augustus’ Altar of Peace, is stultified by such ignorance. So too in our discussion today we did not pay enough attention to history, as exemplified by the map which adorns the cover of our Conference file. Should we not stop to think of the strange shape of Saudi Arabia, as presented there, with areas that give it access to the sea occupied for nearly a century now by those selective mandates the British set up after the First World War? That was done with French collaboration – though Italy was not I believe part of this carve up – in the interests of security, European security. So the heart of Arabia was left isolated, without alleviation through the healthy pluralistic influences that trade and commerce with the outside world brings. Lebanon and what used to be Palestine, till it was turned into Israel, Syria and Iraq, and also very special British creations, Kuwait and Qatar and the Emirates and Muscat and Oman and Aden, were kept apart. As the West now complains of increasing fundamentalism, it should reflect on the fact that its own security concerns were responsible for restricting the flow of ideas that had made Islam internationally such a vibrant universally acceptable religion. I must thank the Alliance of Democrats for this invitation, which not only permits revisiting Rome, one of life’s great experiences, but also focuses attention on factors particularly pertinent to Sri Lanka. Indeed in making a connection between Economic Development and Democracy, I should also draw attention to the third factor this meeting is about, namely Security. Sri Lanka has just emerged from a harrowing conflict against one of the world’s most dangerous terrorist groups. Sadly, though democratic friends in Asia such as India and Malaysia supported us wholeheartedly in this struggle, this was not the case with some Western democracies – Italy, I should note, being generally an honourable exception. This had to do with democracy again, in its more populist form, given the lobbying power of terrorists. Thankfully, with the conclusion of the British General Election, we hope that such depressing deficiencies in democratic systems are now behind us. The fears we had with regard to our security, and the disparities in economic development this led to, are now thankfully definitely behind us. I must admit that, initially, successive Sri Lankan governments were responsible for failing to ensure equitable economic development throughout the country. This contributed to resentments that burst out in terrorism movements, in the South of the country as well as in the North. But, whereas disparities based purely on geography, something you are familiar with in Italy too, can be solved relatively easily – or rather should be, since this is an area in which we have much to learn from each other – resentments are less easy to assuage when racial differences are added to geographical ones. So in Sri Lanka we had resentments that multiplied, and when we reached accommodation with all but one of the terrorist groups that had emerged, that one, the Liberation Tigers of Tamil Eelam, declared that they were the only representatives of the Tamils. Murdering other Tamil leaders, aided and abetted by political parties in Sri Lanka that tried to use them, converting sympathetic politicians in the West to their cause, the Tigers for twenty years and more prevented settlement, and indeed prevented corrective measures with regard to the deprivation of the Tamil people. We did however finally overcome the Tigers, through military operations that should be studied by any Western nation wondering why their own wars against terror are failing, and why they have not won the support of the people whose willing or unwilling covert support contributes to the survival of terrorist forces. That however is another question. What concerns me here is the way in which fast forwarding development has contributed to the understanding finally amongst Tamils in Sri Lanka, as well as amongst idealistic but balanced supporters of Tamils abroad, that the present government is committed to a pluralistic democracy.